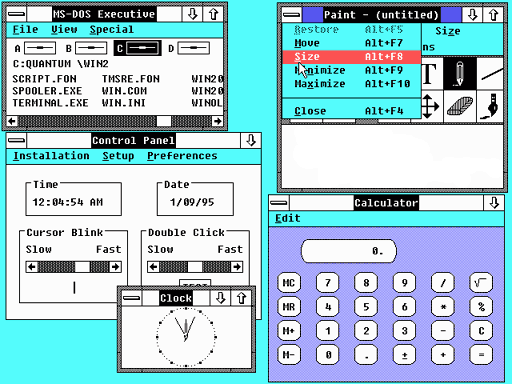 Screenshot of Windows 2.0 – Used with permission from Microsoft. So the purpose of the CSS property z-index is to absolutely position an HTML element on top of the other elements on the screen. This is mostly useful to implement dialogs, information or navigation banners, information bubbles, light boxes, menus, . The contents below the element shown on a higher layer are not visible or only partially visible. 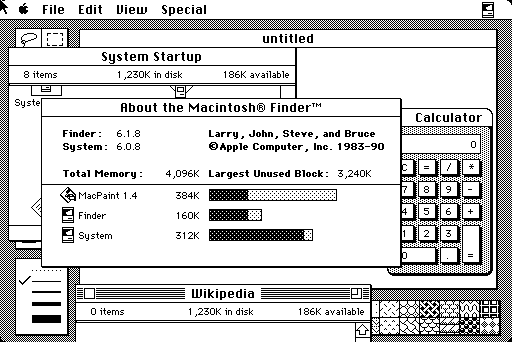 How does the world look like without z-index ? Even though you can still somehow figure out how to position the elements in the code and assign positioning in order to help, it’s clearly a waste of time and I doubt most web developers can actually really figure it out without a lot of trial and error. So the summary is that if you want to display overlapping components in a specific stacking you need to use the CSS z-index property. So how do I use it ? Instead of 10 you can use any other integer value. If you use a negative value, it will be displayed below all non-positioned, non-floating block elements but above the background and borders of the root element. So it’s fairly easy. But there are a few things you have to know about it. Additionally to an integer number you can also use auto. The element will then get the same stack order as its parent. You should also keep in mind that it is important how the elements are nested. A child element can never be higher that the elements which are higher than its parent. Here are a few example to help you understand how stacking works with and without z-index. If DIV #2 is a child of DIV #1 and DIV #3 is higher than DIV #1, no matter how high the z-index of DIV #2 is will not be displayed higher than DIV #3. And although DIV #2 has a z-index of 999 it is not shown on top of DIV #3 because it is a child of DIV #1 which is below DIV #3.